Mary Cleary, Deputy CEO of the Irish Computer Society/HISI opened the event before introducing the Minister for Health, Simon Harris TD, to make his address. The Minister emphasised the importance of the eHealth Ireland Ecosystem, classifying it as a new entry in the lexicon of ehealth and remarking that “The concept of an ecosystem to drive change is something that is picking up globally”. Richard Corbridge, Chief Information Officer for the HSE and CEO of eHealth Ireland, the unit charged with bringing improved population wellbeing, health service efficiencies and economic opportunity through the use of technology-enabled solutions, identified many reasons to celebrate what has already been achieved in terms of eHealth. These achievements include the e-Referral and Individual Health Identifier (IHI) strategic programmes and the Maternity and Newborn Clinical Management Information System (MN-CMS) project which will see the first Irish citizen born with an electronic health record this December. Brian O’Connor, ECH Alliance Chair, in his International Ecosystem Network update, said that there are real outcomes from the eHealth Ireland Ecosystem events, before inviting the audience to the first ever Joint Ecosystem event in Belfast on 1st December. Continuing the international session Professor Olivier Guerin, Vice Mayor of Nice for Health, shone a spotlight on the Nice Ecosystem which houses a substantial healthcare cluster that is dedicated to and investing in digital care. Keynote speaker Dr. Catherine Kelly, CCIO with the University College London Hospital NHS Foundation Trust spoke on engaging the ‘Digital Doctor’. Focusing on the emergence of the Clinical Chief Information Officer she articulated the need for this role to be developed across geographic boundaries , the professionalising of the role and the training and educating of future CCIO leaders. In keeping with the event theme ‘Laying the Foundations for a National Electronic Record’, delegates were asked to devise a number of E.H.R. personas and scenarios. Fran Thompson, Programme Director for Strategic eHealth programme explained that E.H.R. Personas will be used to develop and deepen the set of National E.H.R. requirements in a way that is meaningful for stakeholders, in managing supplier engagement and for clinician, health service worker and citizen communications and engagement. Finally, three projects currently underway and seen as complementary to E.H.R. development – MOCIS, the Medical Oncology Clinical Information System, and electronic medical records system in the Royal Victoria Eye and Ear Hospital and the National Rehabilitation Hospital - were showcased before Mary Cleary brought this productive workshop to a close. 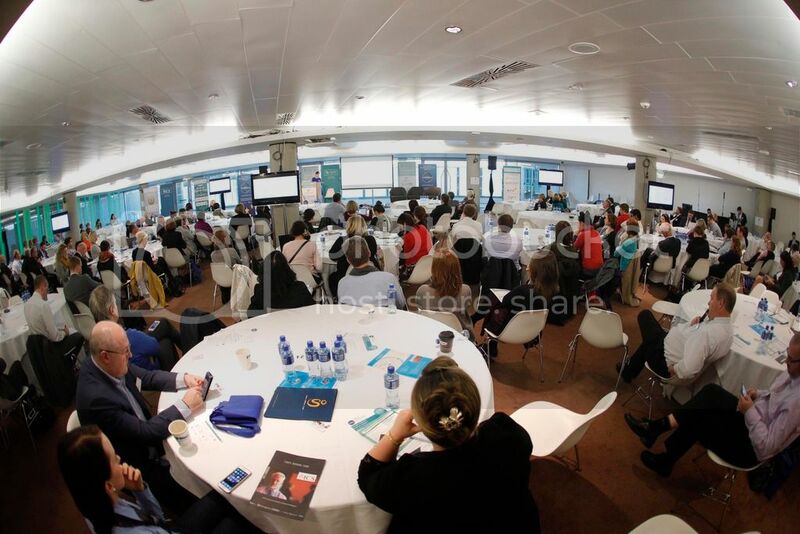 A full report of the output of the Ecosystem event will be published on www.ehealthireland.ie shortly. Dr. Catherine Kelly is a digital lead for North Central London's Sustainability and Transformation Plan and Local Digital Roadmap. She works for UCL Partners Academic Health Science Partnership and at NHS England developed new models of assessing digital maturity across the health and care system which have now been implemented nationally. Catherine played a clinical leadership role in informatics within NHS Scotland for a number of years and was also Medical Director of a Scottish informatics SME. Professor Oliver Guérin serves as the Deputy Mayor of the City of Nice, delegated for health and autonomy. He has been in charge of the city-wide health issues since April of 2014. In addition, Prof. Guérin is an active hospital practitioner and university professor in gerontology heading the Gerontology Department at the University Hospital of Nice.